FROM SUN STAR NEWSPAPER: Businessman and philanthropist Elmer Francisco, the only mayoralty candidate who joined in the unity walk, challenged the other candidates who failed to attend not to undervalue the signing of the covenant. 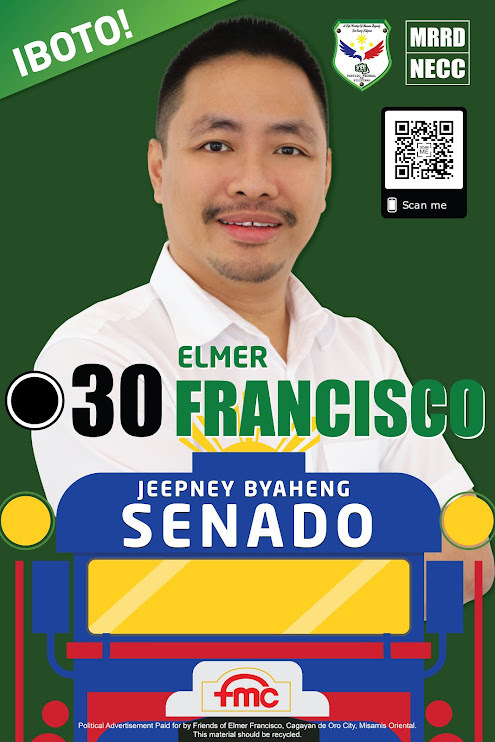 “Pinaka-importante kasi sa lahat if we want to lead, we should lead by example,” Francisco said. “Sincerity will be questioned here,” he added.